About 7000 Dutch people were imprisoned in Nazi concentration camp Neuengamme near Hamburg during the Second World War. Most of them did not survive the war. The aftermath is still noticeable today for both surviving relatives and survivors. In the Netherlands, publicize the events in Neuengamme, its aftermath and the Dutch involvement in it. The foundation supports next of kin in searching for information about family members or friends who have died. 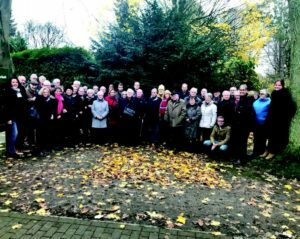 The foundation also helps if necessary to find suitable support for Neuengamme victims, both survivors and next of kin. Members of the foundation receive the Neuengamme Bulletin twice a year. With informative articles, opinions, personal stories, calls from relatives seeking information, messages from the board and other organizations. Every year there is a day for members and other interested parties. With lectures from experts and stakeholders. Every year the foundation organizes a multi-day bus trip to Neuengamme and one or more satellite camps. In addition, the foundation has an archive that is managed by the NIOD. 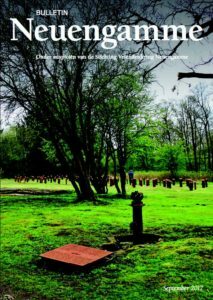 The foundation publishes books about the history of Dutch people in Neuengamme. 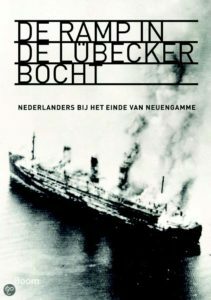 So far appeared (only available in Dutch): Nederlanders in Neuengamme, De Ramp in de Lübeckerbocht and a book with the lectures of former prisoner Jan van der Liet.